So that’s the end of another flashback, and now we know how the kids got separated from their parents. 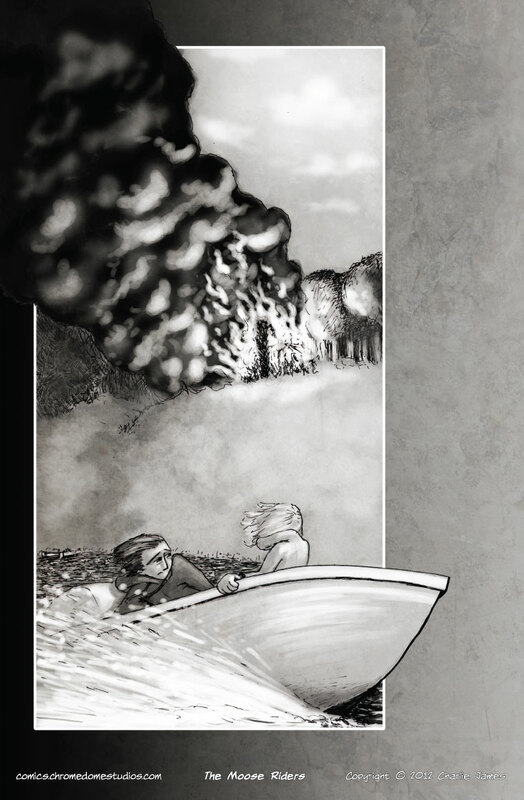 I know there’s not a whole lot of story happening here, but I like the dramatic effect of one big panel with the kids striking off alone, leaving their folks to an uncertain fate while the cabin burns to the ground behind them. This, of course, is what leads them to that very first flashback we saw way back on page 7. We return to color on Friday!